“Brakhman, a relaxed and compact player, possesses a beautiful sound, whether he is playing at the softest or the loudest of the dynamic range. His complete command of technique allows even the most difficult passages, of which there were plenty in his program, to sound so utterly easy, it’s as if they presented no challenge whatsoever”. Evgeny Brakhman was born in Nizhny Novgorod in 1981. He played his first recital at domestic music school at the age of seven. Later, in 2001, at the age of only 20, he graduated from the Nizhniy Novgorod State Glinka conservatoire, where he studied with professor Valery Starynin, and post-graduate courses in Moscow conservatoire in 2003, where he succeeded to be one of the last students of legendary Lev Naumov. 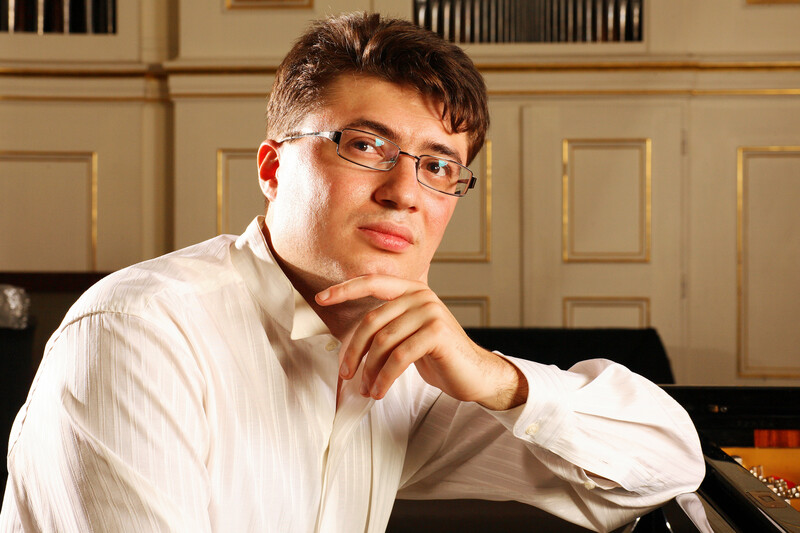 In 1996 he won his first international piano competition – Concours Musical de France in Paris. In 1997-1998 he held a scholarship from M. Rostropovich foundation and took part in the festival “Russian Music School” at Carnegie Hall in New York. 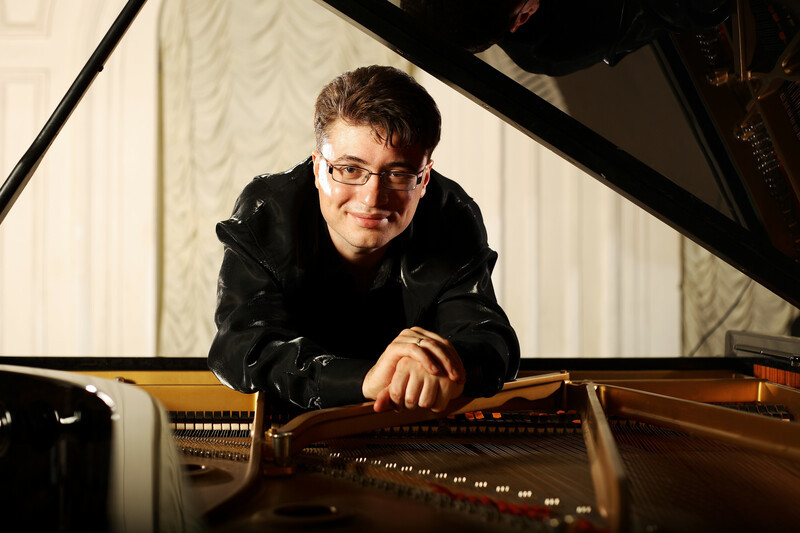 His true recognition came in 1999, when he was announced as first prize winner of Dino Ciani international piano competition at La Scala in Milan. The jury was presided by Ricardo Muti and included Martha Argerich, Michel Beroff, Alexander Lonquich, Fou Ts’Ong, Sergei Dorensky and Fanny Waterman. Afterwards he played recitals at La Scala, Milan; Tonhalle, Zurich; Konzerthaus, Vienna; attended most prestigious festivals in Europe – La Roque d’Antheron in France, Settimane Musicali di Stresa, Bolzano and Cervo festivals in Italy, Sakharov festival in Russia, Martha Argerich project in Lugano, Switzerland. In 2002 EMI Classics realized his first CD, under the title “Martha Argerich Presents Evgeny Brakhman”. This CD, consisted of sonatas by Mozart, Beethoven and Liszt, was immediately awarded by Diapason d’Or. In 2003 EMI realized his second CD, a live recording from Lugano festival. At present, Evgeny Brakhman is a prizewinner of more than 10 international piano competitions worldwide. A recital player, performed in more than 20 countries. A soloist, who joined La Scala Theatre Orchestra, Tivoli Symphony, Bournemouth Symphony, Royal Scottish Symphony, Franz Liszt Orchetra, Vienna Chamber Orchestra, Chamber Orchestra of Wallonia. A pianist, who performed under the baton of Philippe Entremont, Gianandrea Noseda, Alexander Lazarev, Alexander Rabinovich, Saulus Sondetskis, Andres Mustonen, Ja Ja Ling, Roman Kofman. A chamber musician, collaborated with Dora Schwarzberg, Anastasia Chebotareva, Denis Shapovalov, Boris Andrianov, Mark Drobinsky. 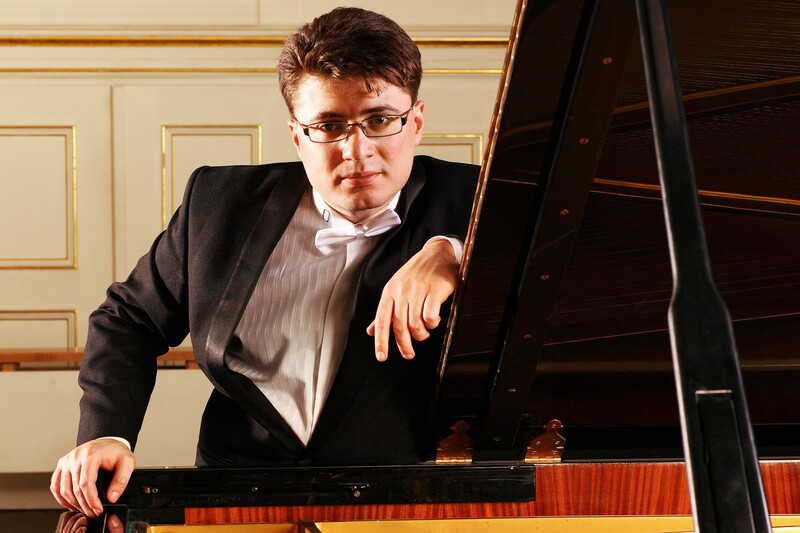 And, finally, Evgeny Brakhman is an associate professor of the Nizhniy Novgorod State Glinka conservatoire. His recent awards in Cleveland, Tbilisi, Rio de Janeiro and New Orleans competitions brought him to famous stages and orchestras. He performed at Severance Hall in Cleveland, Teatre de la Ville in Paris, Grand Hall of Tbilisi Conservatoire, Municipal Theatre in Rio de Janeiro, Romanian Atheneum in Bucharest; and joined the Cleveland Orchestra, Russian National Orchestra, Georgian National Orchestra and Brazilian Symphony Orchestra. In the 2010 year of Robert Schumann and Frederic Chopin, Brakhman performed Schumann quintet and Chopin 2nd concerto with Arena di Verona string quartet in Verona; a recital, dedicated to both composers in Padua; Chopin’s recital in Zelazowa Wola. In 2011-12 he successfully toured with Moscow Symphony in South Korea (including Seoul Art Center), performed recitals and chamber music in USA and Brazil, Austria and Switzerland. In Russia he took part in the famous festival “Stars on Baikal” in Irkutsk, under artistic direction of Denis Matsuev. In 2013 year of Rachmaninoff, Brakhman returned to the US to perform a very special recital in Knoxville, TN, at the same hall where Rachmaninoff himself played his last public recital 70 years ago. In the same tour he joined Louisiana Philharmonic Orchestra in New Orleans. Season 2014-15 included performances in Romania, Norway, Armenia, Israel and Taiwan. In Russia he was recently engaged to take part in the gala-concert of 10th “Crescendo” festival under the artistic direction of Denis Matsuev. The event takes place on the historical stage of Bolshoi Theatre in Moscow.